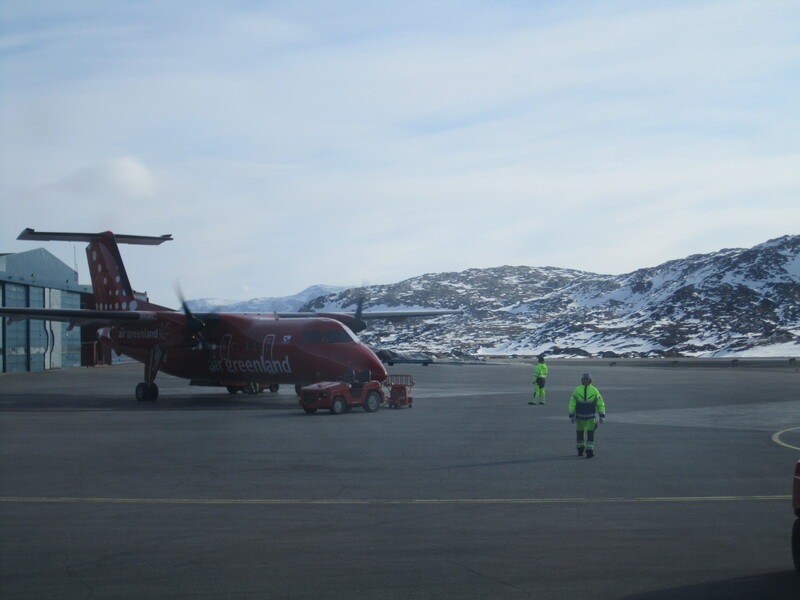 I’m due to fly to Copenhagen today, via Greenland’s international airport at Kangerlussuaq, but the first leg of my flight has been cancelled. There is an earlier flight to Kanger, so I got up at 6 in order to try and get on it. 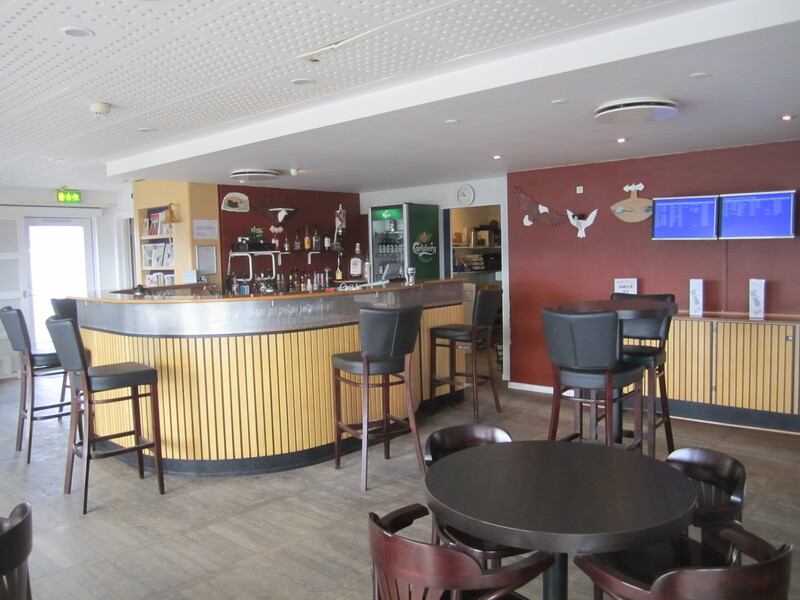 I didn’t have any more internet access left, my mobile couldn’t register with the Greenlandic network, and there was no landline in the room, so I went down to breakfast as soon as they opened. 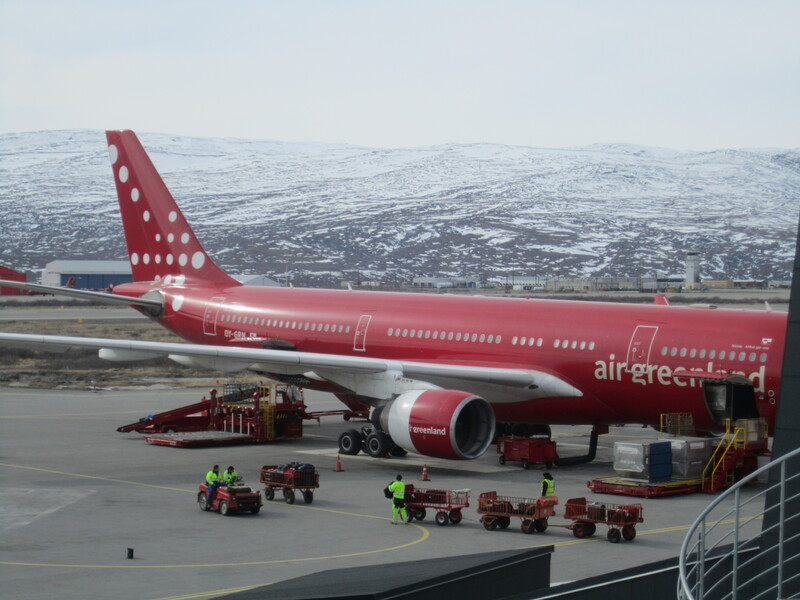 The very helpful hotelier phoned Air Greenland for me and managed to get me on the earlier flight. She also gave me a lift to the airport which I was very grateful for. The earlier flight gives me 3 hours in Kangerlussuaq which is probably a good two and a half hours too many, but I’m just glad I’ll be able to make it to Copenhagen tonight. 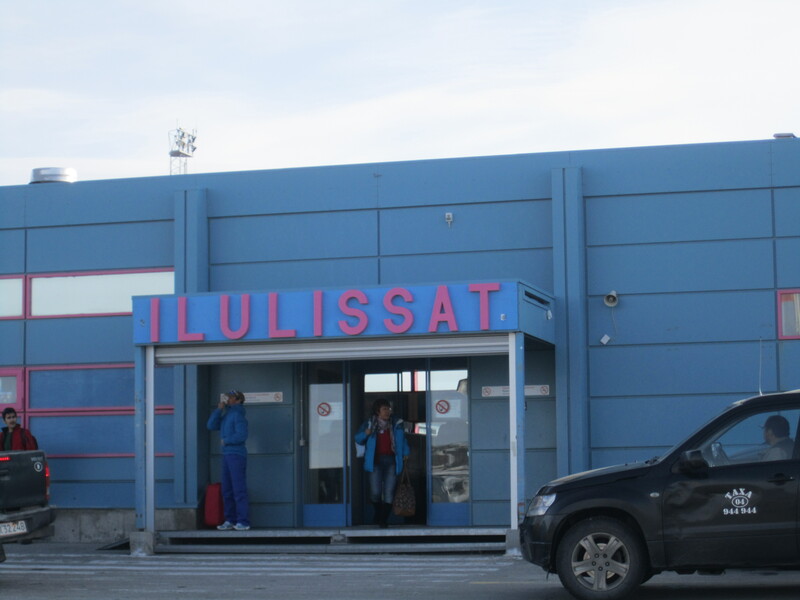 There’s not a huge amount to do in Kangerlussuaq, for those staying overnight there are musk ox safaris, and trips up the road that goes to the ice cap, but I won’t have time for either of these. Instead I have a look at the Greenland keyrings and pens in the three gift shops, and have a couple of beers at the airport bar. The flight from Kangerlussuaq back to Copenhagen is absolutely packed, which is in stark contrast to the three quarters empty flight I experienced on the way here. I later find out it’s a bank holiday in Denmark (and maybe Greenland too?) tomorrow which probably has something to do with it. Because of the time difference (you lose four hours), I’m not back in Copenhagen until 10pm local time. Other transatlantic flights I’ve done West to East have always been overnight, but I guess the flight time is not quite long enough for Air Greenland to do this, the four and a half hour flight time would not be long enough to sleep. 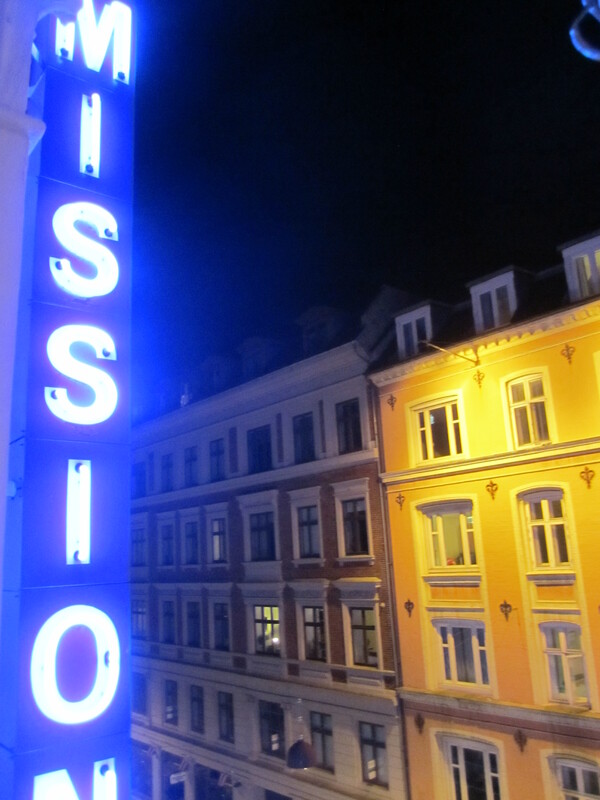 I lucked out massively on choosing the Nebo hotel, very reasonable price (for Copenhagen) and a great location right next to the Central station. I go out for a few drinks in town and the bank holiday tomorrow means it’s quite busy out, which is a nice but a bit of a shock to the system after the relative solitude I’ve had in Greenland over the last week and a bit. Finally. I’ve been fascinated by the place ever since reading about it in the back of a book on Iceland I got years ago. I guess I’m fairly well travelled in the far North with trips to Northern Scandinavia, Svalbard, Murmansk, Iceland, the Faroe Islands, Alaska and the Yukon behind me, but Greenland has eluded me for all these years mainly because of the high cost of getting there. Every time I’ve flown over Greenland on transatlantic flights I’ve looked down longingly at the ice cap, and wondered with marvel at the obscure place names like Angmagssalik, Maniitsoq and Ittoqqortoormiit and always said to myself I’d get there one day. And tomorrow is that day, having recently had the good fortune to be made redundant from a job I was about to quit anyway giving me a month off and a bit of money to pay for the trip. Flights to Greenland are via Copenhagen or Reykjavik, and the former worked out cheaper for me, which gives me an overnight stop in the Danish capital which I’m quite glad to have as I’ve never been here before. 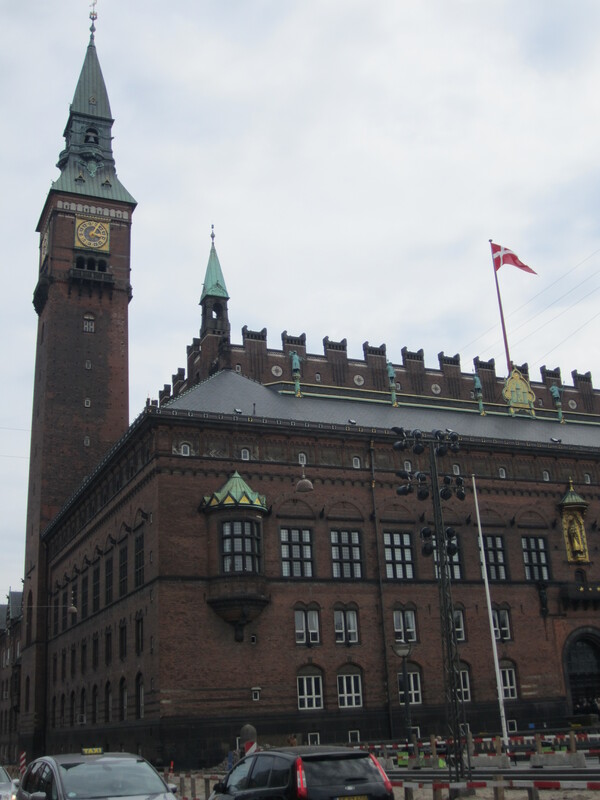 I won’t say too much about Copenhagen here as it’s not really what this blog is about, but I really love the place. I recognise bits of it from the Killing (which I’ve just finished watching on DVD), not so many of the jumpers around though, and hopefully fewer murders.